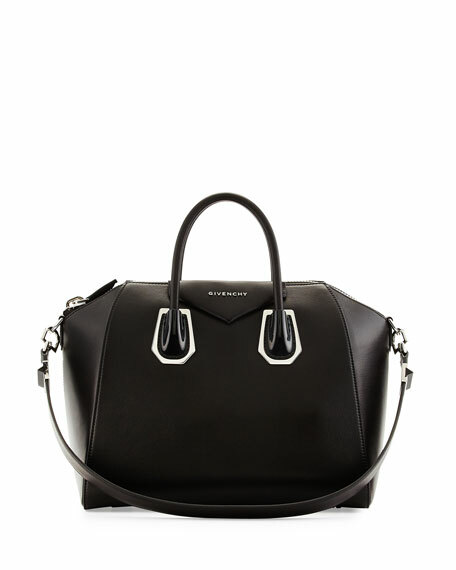 Givenchy "Antigona" satchel bag in waxy calfskin with acrylic and palladium hardware. Rolled tote handles, 4" drop. 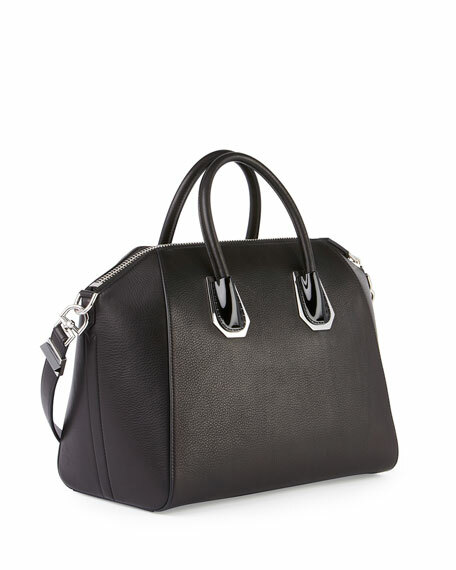 Flat shoulder strap, 10.5" drop. Envelope flap detail with metal logo lettering. Inside, cotton lining; one zip and two open pockets. 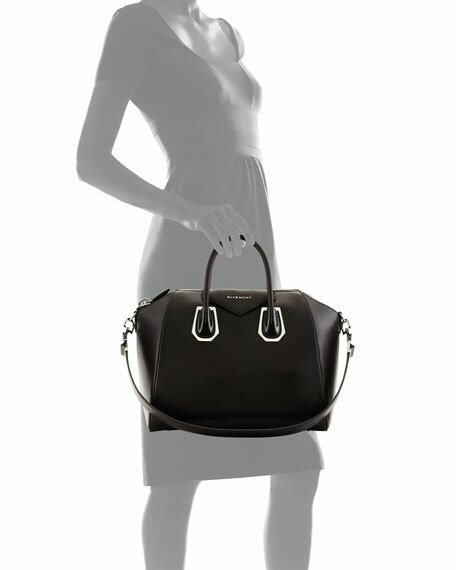 15.8"H x 17.7"W x 7.9"D.
Givenchy, founded in 1952 by Hubert de Givenchy, is an international luxuryhouse known for its Haute Couture, ready-to-wear, and accessoriescollections for men and women. Since 2005, Riccardo Tisci has been the creative director of Givenchy. Twisting the codes of the Housewhich are cool chic, sobriety, femininity, andaristocratic eleganceRiccardo Tisci adds dark romanticism and sensuality. He creates a silhouette combining pure lines with a graphic structure. True to the House's creative heritage and spirit, Riccardo Tisci brings thename of Givenchy into today's world while projecting it into the future. For in-store inquiries, use sku #284024.